The leading independent specialist for windscreen replacement and windscreen repair based in York and serving all of the York area. National Windscreens York fitting centre provides windscreen replacement and windscreen repair services to businesses and individuals throughout York and the York area. York is located in the heart of Yorkshire and is one of the UK’s last walled cities. The city has a rich heritage and culture and has provided the backdrop to many political events over the years. The city itself can be accessed by the A19, A1237 and A59 which all provide access in and around the city. In addition the A1(M) sits to the west of the city which provides ease of access to Leeds and the south. 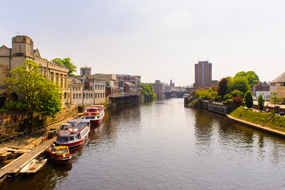 York city centre is extremely popular with tourists who come to visit York Minster, the world famous Cathedral, as well as Clifford’s Tower and the JORVIK Viking Centre. The York windscreen fitting centre and its mobile vehicle glass technicians service the needs of York and the surrounding area including Bridlington, Driffield, Selby and Scarborough. With 108 fitting centres and over 800 mobile technicians, National Windscreens operates the UK's largest windscreen repair and windscreen replacement network. The company provides low cost, high quality windscreen replacement and windscreen repair from its York fitting centre 24 hours a day, 7 days a week, 365 days a year. Repair and replacement of all types of vehicle glass including windscreens, rear windows and side windows is undertaken throughout York and all of the York area.